DECADES OF FASHION, TALL DARK ROAST - "From the glamour of the 30s to the extremes of the 80s, this volume offers an impressive pictorial overview of the fashion world of the entire twentieth century. 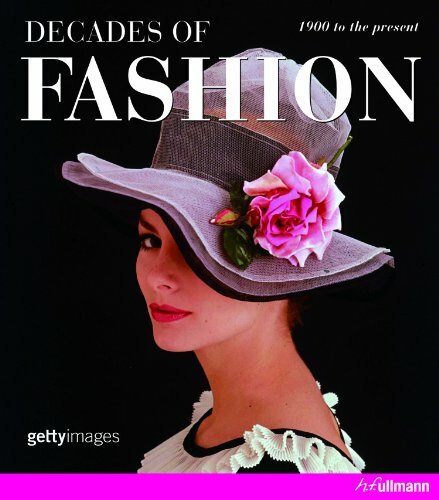 From the glamour of the 30s to the extremes of the 80s, from the corsets of the Belle Epoque to the kaftans of the 70s, this volume offers an impressive pictorial overview of the fashion world of the entire twentieth century. Chanel's jersey suits, Dior's "new look", Mary Quant's minis and Alaia's stretch bodies are high fashion developments that also had an impact on everyday clothing. In addition to the great designers, prominent icons like Marlene Dietrich and Madonna provided impulses. People are not the only source of fashion trends: political events also make their mark on what we wear, and thus the book presents many fashions in terms of their historical context. Decades of Fashion captures the world of fashion in hundreds of photographs drawn both from the fashion runways and from everyday life. Brilliant pictures of every situation and area of life relate the exciting history of fashion.